Posters feature lively visuals and popular themes to energize learning, spark discussions, build character and encourage new ways of looking at life. The results are motivated, successful individuals who reflect the positive attitudes and behaviors portrayed in these creative themes. 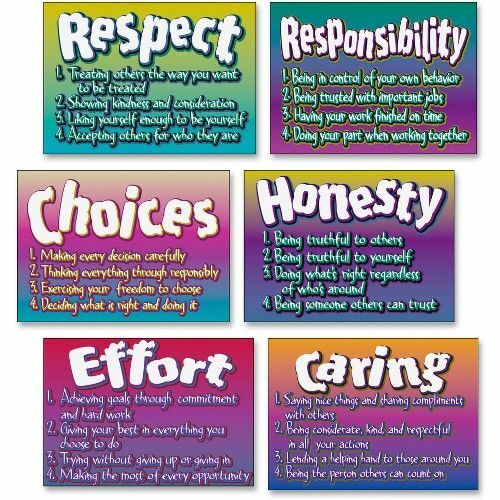 Character Traits ARGUS Combo Pack includes Respect, Responsibility, Honesty, Effort, Choices and Caring. Versatile, durable can use stored in Trend Poster Storage Boxes (not included).